Jacob is a 9-year-old boy battling brain cancer. His doctors at the Barbara Bush Children’s Hospital in Portland say he doesn’t have much time left. Jacob’s family did not want him to miss his favorite holiday, so they put out a plea online, asking for people to mail Christmas cards to the hospital. The request went viral. With lights flashing, sirens blaring, and Christmas carols playing – more than 100 police cruisers from departments across New England caravanned Wednesday to Portland, Maine. They shut down traffic to slowly drive by Maine Medical Center – hoping one special boy with a simple Christmas wish would see them. "I just hope we bring a smile to Jacob’s face," said Agent Richard Gagnier, who works for the Department of Homeland Security in Boston, and like so many others across the country, recently heard the story of Jacob Thompson. "It really moved me," he said. "It’s just amazing that one little boy has touched lives from all around the world," said Michelle Simard, Jacob’s mother. 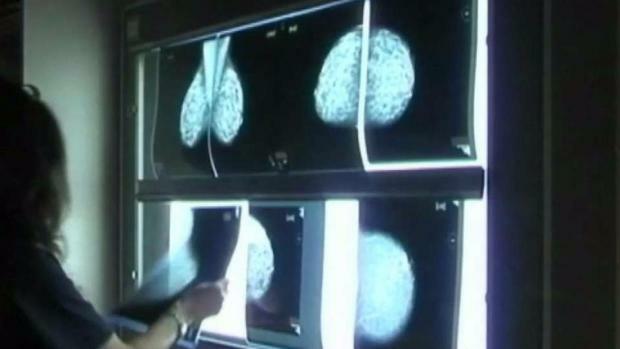 A mammogram could become less painful with the click of a remote control by the patient. According to a Maine Medical Center spokesperson, Jacob has received more than 10,000 pieces of mail a day. "A simple request for Christmas cards touches everybody, I think," said Agent Gagnier. He was especially touched to hear Jacob’s two favorite things are penguins and police officers. "It resonated pretty deep with a lot of agencies and departments." Gagnier put out a call to other local, state, and federal law enforcement officers. 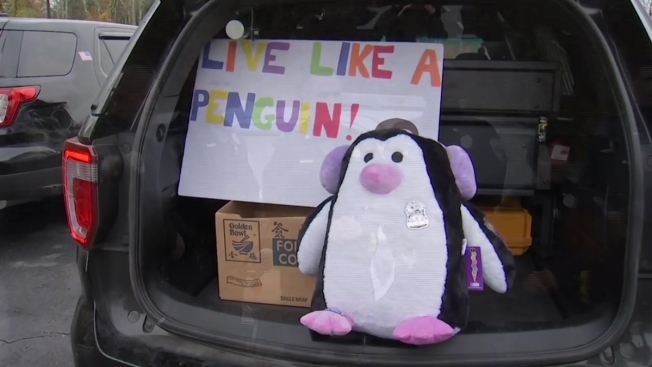 They decided to collect cards and gifts for Jacob, and drive up to Maine together. A group of officers gathered in Stoughton, Massachusetts, and another met in Portsmouth, New Hampshire. More than 100 cruisers and motorcycles took part in the ride. "I just hope that he has a special Christmas, and that his family knows everyone loves him," said Officer David Moore, a member of the Ipswich Police Department in Massachusetts. Around 1 p.m. Wednesday, the caravan of cruisers passed through Portland. Jacob and his family could see the spectacle from his hospital window. A few of the officers were able to drop off their gifts in person. "Having the opportunity to bring some happiness to Jacob means everything," said Gagnier. "It really reminds us why we do this job." 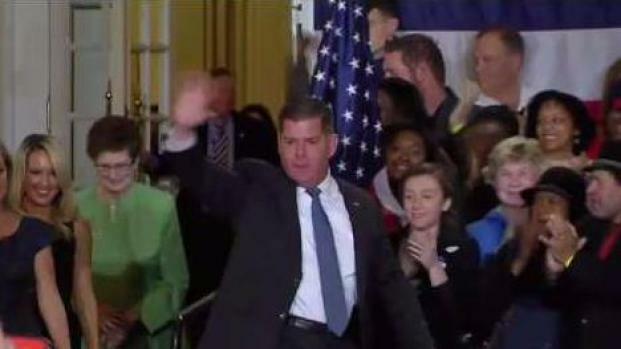 Marty Walsh has been re-elected to a second term as mayor by voters in Boston.